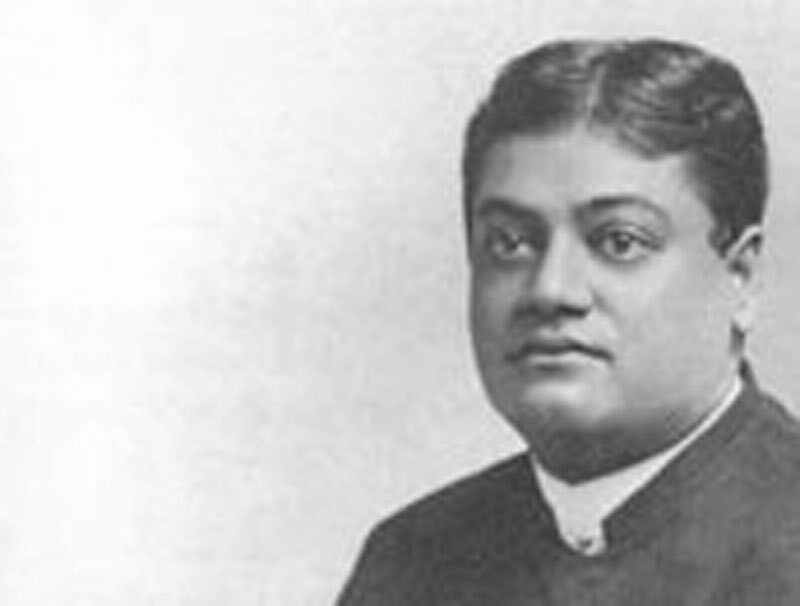 In an interview which a representative of Prabuddha Bharata had recently with the Swami Vivekananda, that great Teacher was asked: "What do you consider the distinguishing feature of your movement, Swamiji?" "Aggression," said the Swami promptly, "aggression in a religious sense only. Other sects and parties have carried spirituality all over India, but since the days of Buddha we have been the first to break bounds and try to flood the world with missionary zeal." "To find the common bases of Hinduism and awaken the national consciousness to them. At present there are three parties in India included under the term 'Hindu' — the orthodox, the reforming sects of the Mohammedan period, and the reforming sects of the present time. Hindus from North to South are only agreed on one point, viz. on not eating beef." "Not in a common love for the Vedas?" "Certainly not. That is just what we want to reawaken. India has not yet assimilated the work of Buddha. She is hypnotised by his voice, not made alive by it." "With which of the three parties you name do you indentify yourself, Swamiji?" "With all of them. We are orthodox Hindus," said the Swami, "but", he added suddenly with great earnestness and emphasis, "we refuse entirely to identify ourselves with 'Don't-touchism'. That is not Hinduism: it is in none of our books; it is an unorthodox superstition which has interfered with national efficiency all along the line." "Then what you really desire is national efficiency?" "Certainly. Can you adduce any reason why India should lie in the ebb-tide of the Aryan nations? Is she inferior in intellect? Is she inferior in dexterity? Can you look at her art, at her mathematics, at her philosophy, and answer 'yes'? All that is needed is that she should de-hypnotise herself and wake up from her age-long sleep to take her true rank in the hierarchy of nations." "But India has always had her deep inner life. Are you not afraid, Swamiji, that in attempting to make her active you may take from her, her one great treasure?" "Not at all. The history of the past has gone to develop the inner life of India and the activity (i.e. the outer life) of the West. Hitherto these have been divergent. The time has now come for them to unite. Ramakrishna Paramahamsa was alive to the depths of being, yet on the outer plane who was more active? This is the secret. Let your life be as deep as the ocean, but let it also be as wide as the sky. "It is a curious thing", continued the Swami, "that the inner life is often most profoundly developed where the outer conditions are most cramping and limiting. But this is an accidental — not an essential — association, and if we set ourselves right here in India, the world will be 'tightened'. For are we not all one?" "Your last remarks, Swamiji, raise another question. In what sense is Shri Ramakrishna a part of this awakened Hinduism?" "That is not for me to determine", said the Swami. "I have never preached personalities. My own life is guided by the enthusiasm of this great soul; but others will decide for themselves how far they share in this attitude. Inspiration is not filtered out to the world through one channel, however great. Each generation should be inspired afresh. Are we not all God?" "Thank you. I have only one question more to ask you. You have defined the attitude and function of your movement with regard to your own people. Could you in the same way characterise your methods of action as a whole?" "Our method", said the Swami, "is very easily described. It simply consists in reasserting the national life. Buddha preached renunciation. India heard, and yet in six centuries she reached heir greatest height. The secret lies there. The national. ideals of India are RENUNCIATION and SERVICE. Intensify her in those channels, and the rest will take carte of itself. The banner of the spiritual cannot be raised too high in this country. In it alone is salvation.